It’s not often that I’m lost for words but I was quite speechless at the end of my run at the CompassSport Trophy regional round up on Cringle Moor. I’d had a fairly average run myself, no big mistakes but nothing spot on either and my running was weak after an unexpectedly high mileage the day before. Things hadn’t started well when I failed to find the start; thanks Mark for putting me right and thanks to the CLOK start marshals for letting me start as they were packing up and having a punching start rather than me starting with a 20 minute time penalty. Why was I speechless? I was sat at the club tent taking off my club shirt and putting on my new club windshirt (have you got one yet?) when our CompassSport captain Mike Hind comes across and says, “We’ve won – by seven points”. The last few years we’ve been close but never quite made it. We’ve been beaten by EPOC, by Northern Navigators, or by NATO by a tiny margin but this time we were there, numero uno. For once we weren’t penalised by being the host club, losing capable runners to plan, organise or control as at Guisecliffe or Timble. Despite the understandable absence of a handful of regulars we’d turned out 31 runners and they’d all performed to expectations. Scoring for CompassSport is complex (Tim Moon has a spreadsheet if you can’t sleep) but it’s two competitions in one as the larger clubs (CLOK, Aire, Ebor) chase the Cup and the smaller clubs (Claro, NATO, NN and EPOC) compete for the Trophy. What matters is beating your rivals from the other small clubs. Getting beaten in your class by an Airienteer has no effect. It also helps if a club can spread itself across as many classes as possible. That’s just the simplified version of the rules. Mike Hind had done a cracking job as team captain, twisting arms and encouraging as many of us to come out. He’d judged the distribution of runners to classes well and in so many ways he was his usual ever-competitive self. We had the semi-detached pair of club tents, the club flag and plenty of club shirts and jackets in view. A presence to be proud of. There are plenty of CLAROs in Vince’s photos here and in Wendy Carlyle’s here. The highlight of the Claro results to me was the performance of the under-14 juniors on the Orange course where we took all three podium places in a very large class. Well done indeed to Luke Fry, Lois Parker and Alexis Whitaker. Ewan Reid and Eve Whitaker weren’t far behind either. 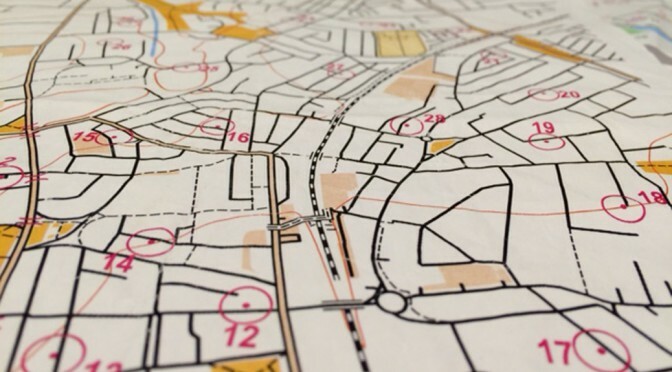 The Junior League is certainly helping to develop some fine orienteers. Looking at Claro’s results just against the other small clubs I reckon we scored three 1st places, four 2nd, four 3rd, three 4th, and six other top ten places across the spread of ages and both genders. Claro’s finest hour for a good few years and a credit to everybody’s hard work and effective performance. So that qualifies Claro to compete in the final against the best of the other regions’ small clubs. The final is to be held on Sunday 22nd October down at Yelverton in west Devon. I don’t know the area but from the map and Geograph it looks like a mix of steeply sloping woodland, an open common and some early industrial or mining relics. It’s a long way to travel but our initial reaction is that we’d like to do our best to make it. Committee will be looking at the issue of a significant contribution to costs as well as the logistics of getting us all down there. In the meantime put that weekend in your diary; I think it’s probably the first weekend of school half term. Changing the subject, I’m pleased to say that I’ve finally been able to present the Charles Lewsley Cup for 2015/16 to its deserved winner. We’ve brought the award of that trophy in line with our club championship trophies, normally presented at the AGM. The Charles Lewsley Cup is awarded for a member not on the committee who is judged to have made the greatest contribution to the activities or reputation of the club. I’m sure we all remember the Yorkshire JK (how could we forget) which was so well masterminded by Mike Cope. You may not be aware though that Mike also serves as YHOA regional fixtures secretary and chairs the national fixtures committee for BO; he has the job of persuading recalcitrant regions that it really is their turn to host the JK in 2020 or the British Champs in 2019. A combination of Mike’s well-earned sabbatical and my own absence due to injury has led to him not receiving it until Cringle Moor. I can’t imagine that we’ve ever had a more deserving winner. Mike retains the trophy until just before our AGM in September when it will pass to the 2016/17 winner. 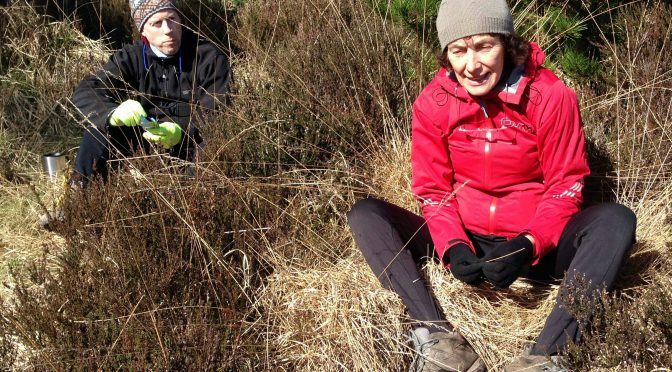 Don’t forget we’ve got Lindley Moor coming up on March 26th, planned by Liz Potterton on a newly-extended map and organised by Susan Birtwistle. That’s a round of the Yorkshire Superleague so expect big numbers and the need for many volunteers. 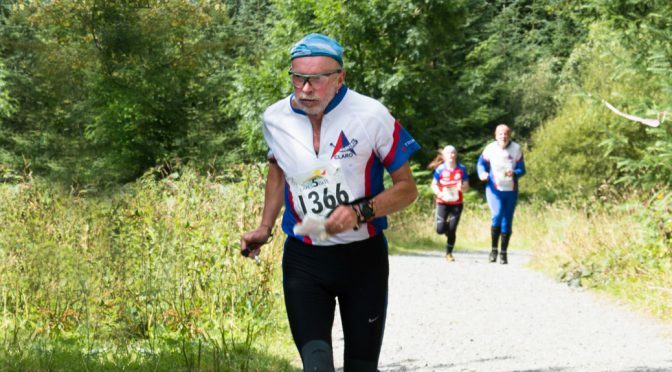 One of our regular car parking volunteers is laid up at present following a nasty hand injury competing at Burley and Ilkley last week that needed surgery; get well soon John Birtwistle. Meanwhile he joins the increasing ranks of Claro’s walking wounded which oddly includes three of the four club officers.